Well folks, it has finally happened. Our Podcast, The Intellectual Agrarian, is ready for your listening pleasure. Today’s episode features an interview with a good friend of mine, Aaron Blick. 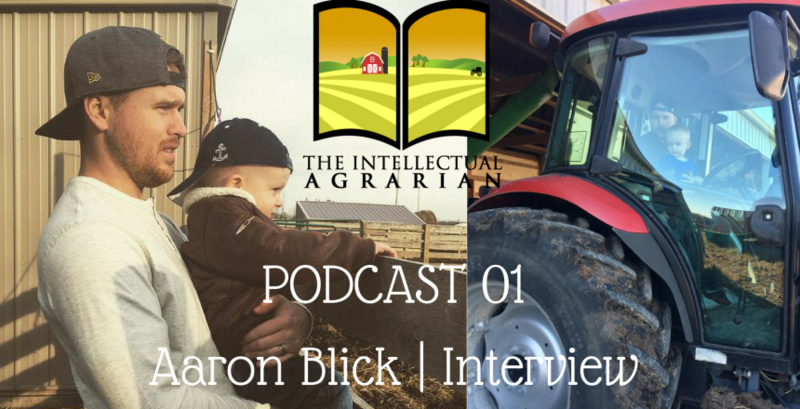 Together we discuss what brought him into farming and why he’s chosen to keep doing it. If you enjoy the show, please subscribe to us on iTunes, Soundcloud, and Stitcher. Also, rate and review the program; It helps us improve the quality and content of the program and deliver you the best possible show.